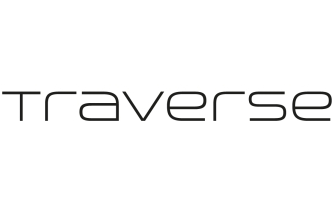 Following on from a fantastic partnership in 2016, Traverse and affilinet are again working together in 2017 to promote affiliate marketing to bloggers and digital influencers in the UK and further afield. To start of the 2017 activity, which will also include, among other things, affilinet being a main Traverse 17 sponsor and a special one off event, we thought we’d share some more information about who affilinet are and why they’re a great choice to work with when it comes to monetising your blog. These days the blogging landscape is vast and complex, with a range of ways to monetise your site and affilinet are here to help! As an affiliate network, affilinet can connect you with a whole host of leading brands across a range of verticals and help you to monetise your site including: Thomas Cook, Thomas Cook Airlines, NOW TV, Hotel Chocolat, Sandals and more! What is the affilinet WordPress Plugin? affilinet’s WordPress plugin allows bloggers to integrate affilinet’s data driven advertising solution “Performance Ads” within seconds and without leaving their blog. Performance Ads behavioural technology means that the ads shown to your audience are tailored to their online habits; enhancing user experience and increasing audience engagement. It delivers all the benefits of highly trackable, intelligent digital advertising and is a simple and easy introduction to affiliate marketing, monetising your blog with minimal effort. Once you have your affilinet account, you can simply log in via the plugin and get started pulling the code. Improved engagement, click-through rates and conversions; this all means more earnings from your blog. If you would like to sign up to the WordPress plugin, please click here.